Voluntary sector organisations should actively share the methods they use to report on their effectiveness, according to a new guide. The Code of Good Impact Practice, published on 17 June by the Inspiring Impact programme, sets out eight principles on impact reporting that the voluntary sector should aim to achieve. 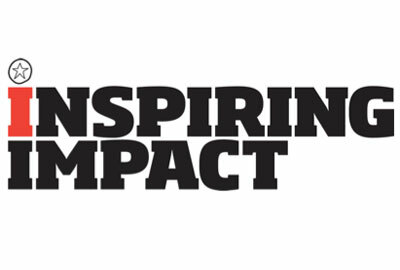 Inspiring Impact is a group of organisations including the National Council for Voluntary Organisations, the chief executives body Acevo and the think tank New Philanthropy Capital, that aims to make high-quality impact measurement the norm for charities and social enterprises by 2022. The Code of Good Impact Practice was produced by the NCVO and was launched at its conference in London today following input from a working group of 17 organisations and a consultation with the sector, which received 130 responses. The eight principles for those involved in impact measurement include taking responsibility for impact, being honest and actively sharing impact plans with other organisations. The report expands on each of the eight principles and includes a description of what "good" looks like, an explanation of why it is important, and ideas for how it can be applied in practice. Catharine Pusey, head of consultancy at the NCVO, said the majority of people who responded to the consultation on the Code of Good Impact Practice said they could imagine using it when they considered their impact. "I hope that the finished product will become an invaluable tool for those looking to develop and improve their impact practice," she said. Inspiring Impact also launched the Funders’ Principles and Drivers of Good Impact Practice report, developed by the Inspiring Impact Funders for Impact working group and facilitated by the Association of Charitable Foundations. Carol Candler, chair of the working group, described the report as a high-level guide for funders seeking to improve their impact practice. Tris Lumley, head of development at NPC, said the publication of both reports would help Inspiring Impact to reach its goal of making high-quality impact measurement the norm for charities and social enterprises.